EFA News - European Food Agency - Heinz Beck awarded in Paris by "La Liste"
Heinz Beck awarded in Paris by "La Liste"
He did not have time to be confirmed in the three Michelin stars for La Pergola in Rome, and to receive a new star for the St. George Restaurant of the Ashbee Hotel in Taormina, which Chef Heinz Beck can add another prestigious award for his already rich carnet . His restaurant "Attimi by Heinz Beck", opened inside the Fiumicino airport, won the "Best Restaurant in Mobility" award of “La Liste”, the most authoritative international selection of haute cuisine restaurants. The award was presented in Paris, in an important ceremony held at the Quai d'Orsay, home of the French Foreign Ministry. The restaurant is the only one built inside an airport by Beck. Open thanks to a partnership between Beck & Maltese Consulting and Cremonini Group's Chef Express, the restaurant has introduced completely new concepts in airport commercial catering. "Attimi" is located in the boarding area of the intercontinental flights of the Capital: it is born from the analysis of the eating habits of those who travel and it is the attention for the time to characterize this culinary experience with the creation of three different " time menu "30, 45 or 60 minutes, declined according to what the customer can wait while waiting for departure. Heinz Beck explains the basic characteristics of the new restaurant: "who more or less, but everyone travels," says chef Heinz Beck, "and eating properly is one of the concerns when you are in foreign countries and little is known about them. gastronomic habits. Spices, perfumes, methods of preparation are elements that in the metabolism already put to the test by jet lag become real physically determinant factors . I thought of Attimi's menus, to its format, reasoning on the fact that beyond the legitimate curiosity, when we find ourselves in countries other than our own, we look for "familiarity" in food to feel at home anyway and to feed ourselves in the healthiest way ". According to Cristian Biasoni, CEO of Chef Express, "the prestigious award received by Attimi confirms the validity of our strategy to create partnerships for high quality projects. This restaurant created with the Beck & Maltese Consulting is proof that even travelers can live in the moment of meal a unique experience, as only the chef Heinz Beck can offer at international level, what we want, is that those who arrive in Italy, and those who leave from Italy live unforgettable emotions, special, like those that only our Earth, its heritage artistic and its excellences know how to propose ". 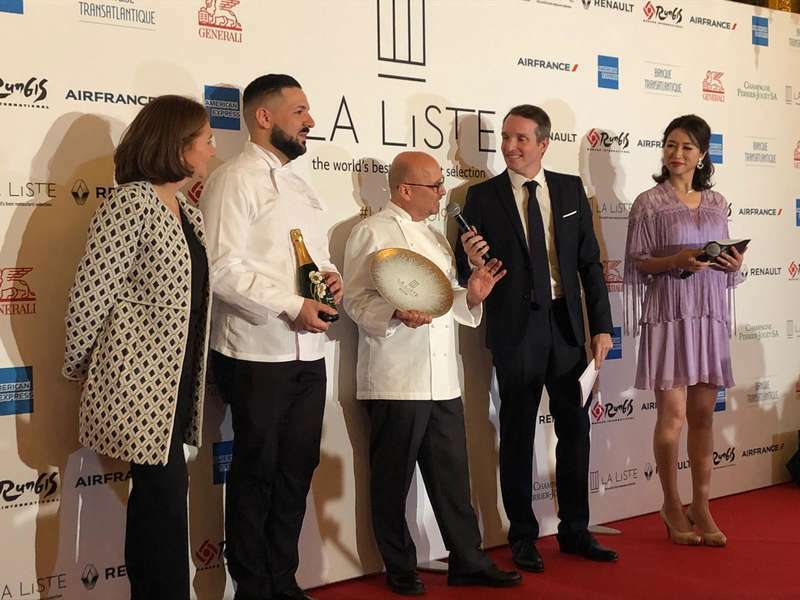 Based on the compilation of hundreds of guides and millions of reviews online, the selection “La Liste 2019” has reviewed over 16,000 high-end restaurants in 165 countries. Led by an international team of food experts gathered by Philippe Faure, founder. 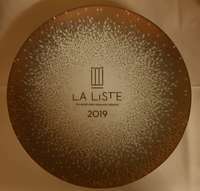 “La Liste” has created an inclusive concept that brings the best of reviews analyzed through an impartial and objective process, representative of international opinions based on an algorithm that allows to calculate an annual score that establishes the ranking.